The New Media Consortium (NMC) just put out the NMC Horizon Report – 2015 Higher Education Edition last week to share what is ahead in technology and learning in post-secondary for the next few years. This report identifies the trends, challenges, and specific technologies we might see in higher ed over the next 1-5 years. If you work in learning technologies or distance education, much of this report is not “new” – however it gives some insights and examples of what is ahead in the post-secondary landscape. If you working in higher education, I suggest you DOWNLOAD and review your own copy. 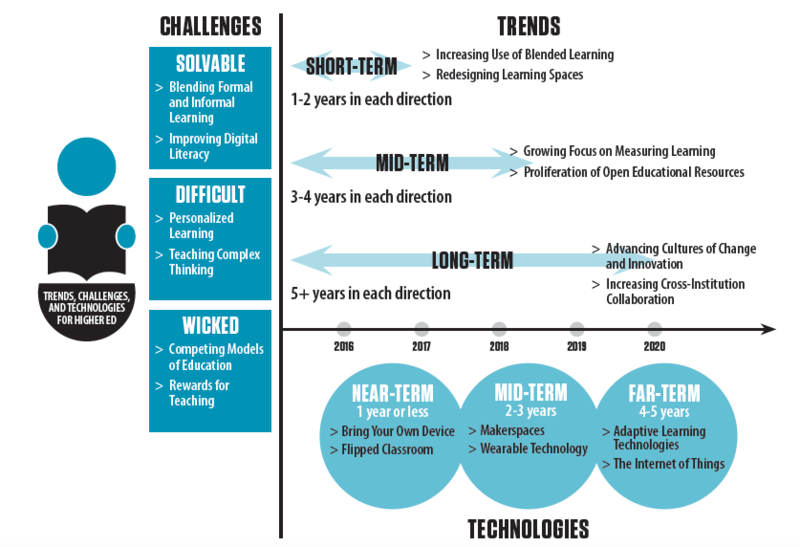 Not all these trends and predictions are surprising – but it is always good to know what others are working on in the field of #edtech. Happy reading! Johnson, L., Adams Becker, S., Estrada, V., & Freeman, A. (2015). NMC horizon report: 2015 higher education edition. Austin, Texas: The New Media Consortium. The ELI Video Competition: 2015 NMC Horizon Report from EDUCAUSE and the New Media Consortium (NMC) is underway. I need your help to cast your VOTE for the Technology Test Kitchen – #18: Michigan State University. 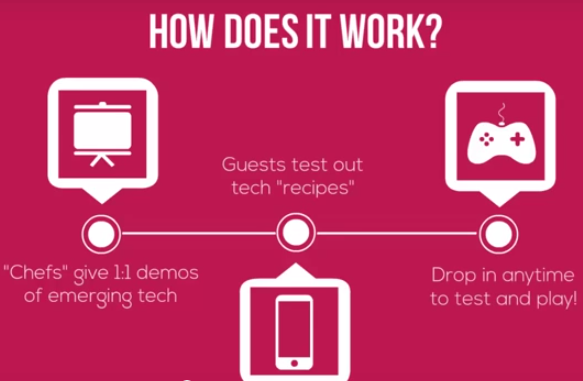 DOWNLOAD your own Technology Test Kitchen Recipe Book from #blend14 and #ALN14 to try out some new recipes for learning! Like what you see, check out the next TTK maker space happening with at #et4online in April here in Dallas, TX!